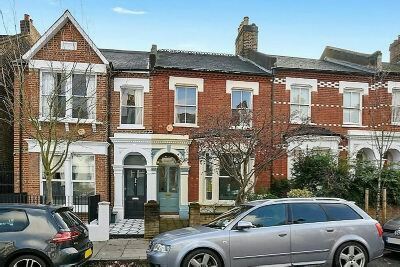 With excellent views of London's iconic City skyline and the Surrey Hills beyond this very well presented split level Victorian house is being sold CHAIN FREE. Originally arranged as four bedrooms the property now features a 'magazine size' bathroom in lieu of bedroom four however there is still scope to convert the loft (stp) into a further bedroom or use the study as a small bedroom. Should you require greater space there is also significant opportunity to exploit the sizeable basement, subject to planning, akin to next door where they have created additional habitable space with the added benefit of a front light well. Dresden Road is a very sought after family friendly tree lined road within the Whitehall Park conservation area and is used on occasional Sundays as a designated 'Play Street'. Whitehall Park primary school and convenience shopping are literally moments away.